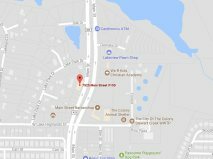 Got an IRS Tax Audit Notice? Don’t Panic, Call Tax Clean Up. An IRS audit panics millions of taxpayers (individuals and businesses) every year. Even though the IRS has seen drastic budget cuts, their enforcement department has had their budget increased, and they haven’t slowed their audit pace. Having a Tax Professional with you in an audit will help ensure you’re treated fairly by the IRS. Most audit recipients are selected at random, but the IRS may have seen something in your return that they want to question. The audit notification letter will usually tell you what records are needed to respond to the audit, and you may be able to answer the “why” from that. If you want to know for sure, call a tax professional. A Notice of Unreported Income (CP2000) is more common than an audit, letting you know your tax return did not match the IRS’ records of your income. It’s not an audit, but works much the same way and you still need to respond quickly. A tax professional can help you prepare for and achieve the best outcome from your conversation with the IRS. The key to surviving a tax audit is having a strong audit defense going in, prepared by a tax professional. We’ll help you organize records, ask many of the same questions we can anticipate from the auditor, fix what we can prior to the audit, and from our own analysis, have our strategies prepared to provide the best outcome possible. 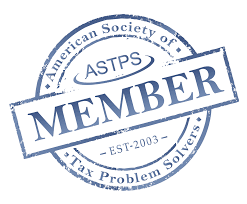 Why Should We Be at Your Tax Audit? IRS auditors usually prefer to speak with Enrolled Agents and tax professionals like Tax Clean Up, because we know what they’re looking for and speak their language. They don’t have to explain tax law or deal with “emotional” taxpayers. Having a tax professional at your side is your best assurance of getting a fair treatment from the IRS. It is important to note that if your audit outcome is unfavorable, you’ll have the option to appeal within 30 days of the auditor’s decision. Don’t let this happen to you! 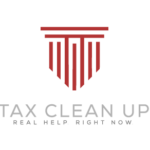 Call the tax experts at TAX CLEAN UP.com, (214)-617-2020.